Just because a project has been developed doesn’t mean it will be operational. 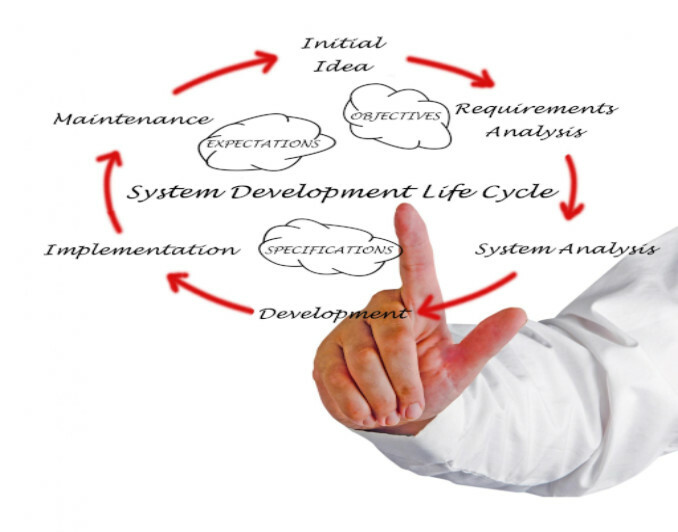 This is where the System Development Life Cycle (SDLC) comes into play. SLDC is a project management conceptual model that provides the steps necessary to make an information system development project functional. This includes following the project from its developmental infancy through to the application completion. The planning phase is where the initial magic happens. During this phase, planners hash out the goals the company is trying to accomplish through SDLC, determine how large the company’s issues may (or may not) be and determine the resources (time, costs, overall benefits, etc.) that will go into the process. In the development phase, a database developer, network engineer or programmer will begin the actual work on the project, using flowcharts to keep the process organized correctly. The implementation phase is where developers produce the code needed for the program as well as the system installation. This is accomplished by the new system receiving the data and components from the previous system through a direct cutover. The operations and maintenance phase is the final (and ongoing) phase that provides upkeep to the system, including any regular updates and tweaks that may be needed. Additionally, it’s the phase where any fine-tuning can be performed by end users. For more specific details about SDLC and to see the rest of the process, check out: The Seven Phases of the System-Development Life Cycle.